Hi, Gorgeous. Haven't I Seen You Somewhere? I'm curious as to how much thought, if any, has been given to the design of all the security checkpoints that will eventually be a part of all the new buildings and memorial at Ground Zero. Even without research, I imagine none of the proposed buildings and memorial will exist without many security checkpoints. Perhaps Ground Zero could be surrounded by a new and smaller version of the Berlin Wall (creating an island of Freedom Tower), thus potentially narrowing the number of checkpoints down to three--Alpha, Bravo and Charlie. Even Wall Street would have real meaning again! Or maybe my imagination has run away and Architecture of the Divided States of America is really completely fictitious. walls = denial = burkha = ? 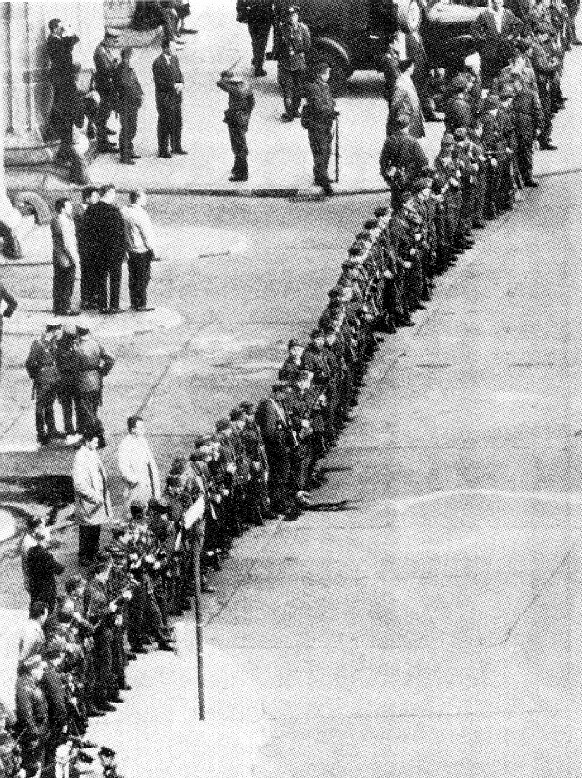 Did you ever see pictures of how the first manifestation of the Berlin Wall was a continuous line of armed Communist soldiers standing abreast side by side? Remember Hands Across America? "Ich bin ein Ground Zeroed!" I think it's interesting that most human teeth reenact themselves. Since our minds reenact our perceptions, is that an indication that the operation of mental reenactment is somehow already coded in our DNA? Not exactly a precedent of arrival, or arrival-threshold-gateway, but take a look at Le Corbusier's promenade architecturale formula as played out in several building designs. If anything, it might give you a better idea how architecture can deliver a sequential narrative. It also demonstrates how architecture can be used to deliver a destination.